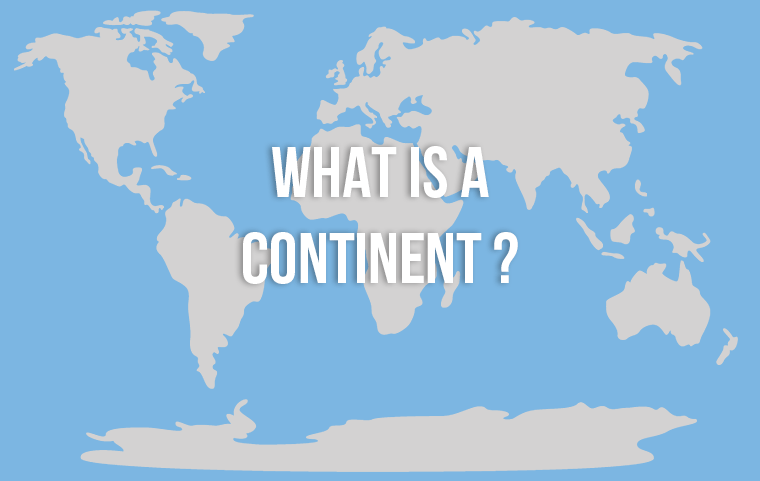 Continent Definition – a discrete area of land which is both large and continuous that is separated by a body of water. This popular definition of the word continent is vague and confusing if you consider the popular list of seven continents that are widely accepted. First of all, not all seven continents meet this definition. Europe for example, shares a large border with the continental dividing line of Asia. Greenland is considered an island and part of the North America continent but Australia gets its own continent. The more literal definition would be one that is defined by a land area’s continental shelf and plate-tectonics. Currently, there is no universally accepted definition that the world agrees on. The good news is there are no less than 4 continents and never more than 8! Depending on the part of the world you are from it is likely that you learned things differently. Most English speaking countries and China generally teach that there are seven continents: Africa, Antarctica, Asia, Australia, Europe, North America, and South America. 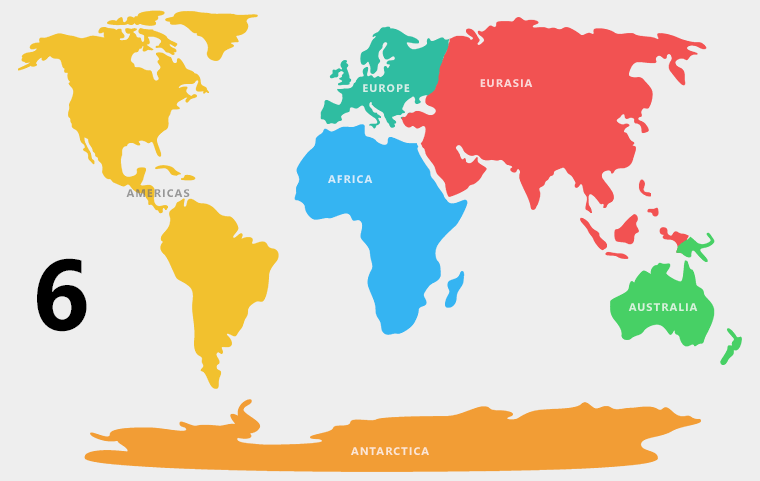 Geography professionals are more comfortable with six continents where the continent of Europe and Asia are combined to become Eurasia. In much of Latin America and Europe, they teach a six continent version as well. Yet, in this version North and South America are combined instead. What is the Definition of a Body of Water? The definition of a continent is clear that water serves an important purpose in the dividing lines of each continent. But, some continent do not have any water at all at the dividing line while others are surrounded by water and are considered islands. In Asia and Europe, in terms of geographical features which divide them, they are separated by mountains more than any body of water. Experts believe that the separation of these two continents is more a function of the cultural differences between them rather than any geographical feature. This kind of distinction among continents would make for many more continents due to the fact there is so much cultural diversity in Asia and Africa. What Is the Definition of a Large Area of Land? The term large makes it easy to be subjective. What is large to you may not be large to someone else. Unfortunately, there is not a standard measurement for what make something large. The word large is generally uses a relative term. This means that the only thing that makes something large is the presence of something smaller. Confusing indeed. It becomes clear why there is so much debate about the continents as the definition that is used for continent is comprised of words that also lack a clear definition! Greenland is a great example. It is a large area of land that is continuous and fully surrounded by water. Yet, it is not a continent. But Australia, with similar characteristics is considered a continent is nearly every version taught in the world. Madagascar would also fit this definition but is made part of the continent of Africa. What is the Experts Definition of a Continent? Geologists are much more clear when defining what they believe to be the definition of a continent. Geologists generally maintain that continents are divided not by land or water as you see on a map, but continental crusts that are only seen in the many layers of rock, sand, and sediment that form the continental plates. If you were to use this definition exclusively, you would find that there would be many overlapping continents due to the presences of continental shelves, mountain ranges, and other geographical features where continental crust fall on top of each other.